Wealth-Lab Version 6 code in C# for combining the DM and Moving Average indicators is presented below with the minor modification of making this a stop and reverse strategy. As the periods chosen seem quite arbitrary, it seems possible to find a sweeter spot for the strategy by optimizing. 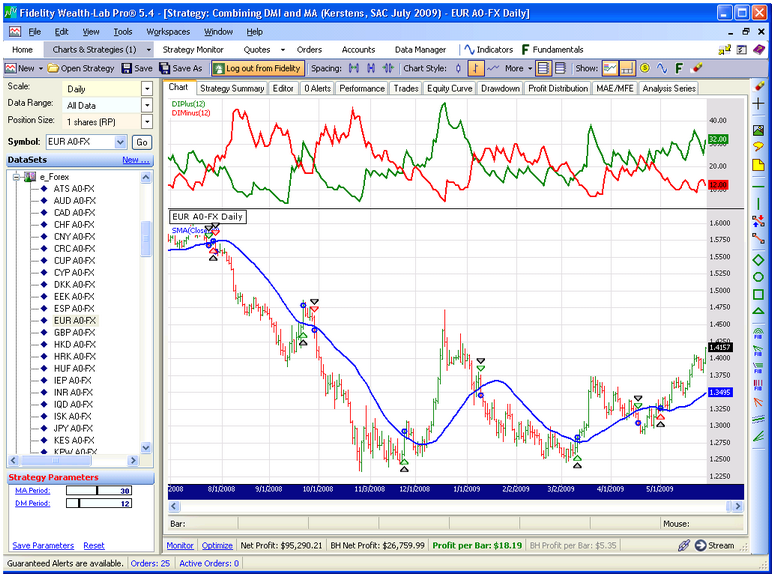 While adding complexity, it also may pay off investigating the use of a loose trailing stop in order to prevent whipsaws in the middle of a strong trend (possibly detected using ADX) like the one in September 2008 (Figure 1). Figure 1. DMI and moving average crossovers often indicate the same trend on nearly the same bar.